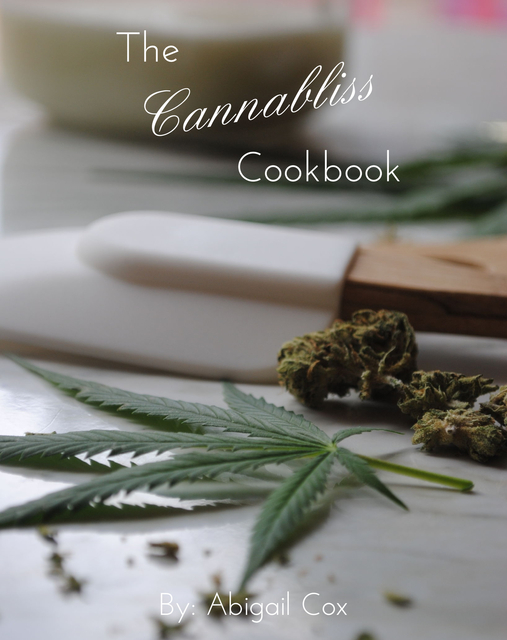 The Cannabliss Cookbook is for health conscious individuals who want to learn more about cooking with cannabis while experiencing easy and tasty recipes! The ingredients in this cookbook offer versatile substitutions, just about any diet restriction can be implemented into these recipes. Vegan? Totally. Vegetarian? For sure. Carnivores? Yep. Gluten Free? Def. You get the gist. The healing powers of cannabis are phenomenal, so why not pair with another ancient healer? Fresh Food. Don't worry there are some treats for your sweet tooth too. Like the Vegan Cannabliss Chocolate Chip Cookies or the Peanut Butter Pinners. Not to mention the Spacey Smoothies + Juices. Don't miss out on a new movement of cooking, cannabliss style! Abby, a wife and mother of two rad kids. Her professional background includes 8+ years in marketing with print, digital and social. A few years ago she became very passionate about yoga and recently pursued her RYT 200 hr. certification. She teaches yoga on the side and practice daily. Healthy living is a big part of her and her family's day to day life. Back in 2011 her husband developed severe gastrointestinal issues and stomach ulcers. No natural or western medicine practice could help him. His illness had become so severe and his body was in a constant state of stress, nothing could help him. Medical Marijuana saved him. Cannabis provided his body the relief to finally get back on track. Eventually his symptoms subsided and he was able to heal. During his journey of healing she became fascinated with the healing power of Cannabis. Her hobbies of cooking, healthy living, and cannabis eventually led her to write The Cannabliss Cookbook. I hope it inspires others and helps them heal!